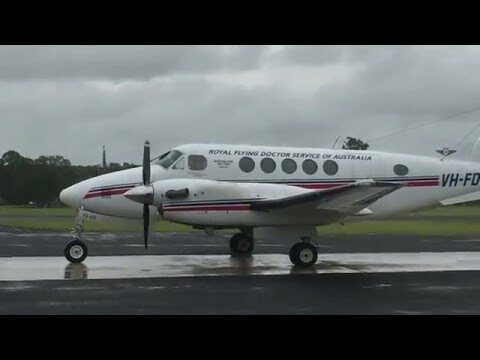 for this aircraft which was donated through the Australian Governments Cultural Gifts Program. 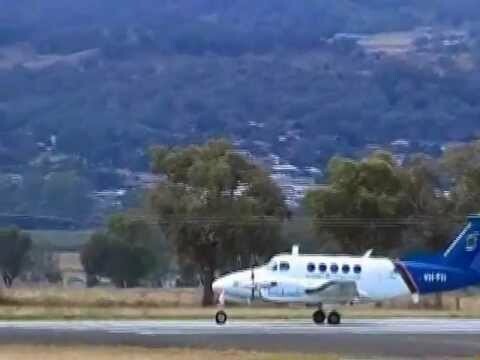 Background: On the night of 15 April, Beech 200 VH-IBC (BB-74) was operating a night freighter flight from Mackay to Brisbane. At top of descent, Captain Graham Syphers found that the elevators and trim tab would not move and it was deduced that they had iced up. By reducing power, the aircraft descended into warmer air where the ice melted and elevator control was restored. Despite an exhaustive investigation, engineers could not positively identify the source of the problem. On 20 April while inbound from Lord Howe Island, the problem returned. On this occasion, the elevators had to be freed with manual force. On arrival at Brisbane, engineers found a large block of ice over the elevator bellcranks in the rear fuselage. During subsequent rectification work, engineers also found small cracks either side of the rear pressure bulkhead. These cracks were repaired with a series of external doubler plates around the rear fuselage. This work resulted in VH-IBC being out of service for nearly a week, hence the charter of VH-MXK. (Source: 4) These doubler plates are also present on VH-FII. Lloyd Aviation was taken over by Skywest Aviation. Skywest was taken over by Pearl Aviation. Troughton Island, WA 3 flights for Ansett (Woodside) to evacuate a drilling rig because of Cyclone Thelma. Chartered to Raytheon "for airwork within 120nm radius of Darwin for testing of primary radar system". The aircraft was painted with "Flight Inspection Alliance" titles. From the AeroPearl website: "AeroPearl is a full service member of the International marketing alliance 'Flight Inspection Alliance' (FIA) with a network of Flight inspection service providers covering the world. The Alliance has service provider members in the United Kingdom and Germany and flight inspection system manufacturers in Germany, the United States and Norway." The aircraft was issued with a Special Certificate of Airworthiness Number BKES01072 as VH-FII in the Experimental Category to become effective when the aircraft is fitted with Flight Inspection Equipment. Sydney-Brisbane, Capt D. Thomas, F/O N. Keats. Donated to QAM by Pearl Aviation Australia Pty Ltd under the Cultural Gifts Program. Aircraft loaded on to a low-loader at Brisbane Airport. Aircraft arrived at QAM Caloundra. Wings refitted at Caloundra courtesy of engineers from Pearl Aviation. The Flight Survey Console from VH-FII is displayed at the Airways Museum at Essendon Airport in Melbourne. Aircraft Log Books and records held by QAM. Flight Inspection operations are drawn from Pearl Aviation Journey Logs however there are several gaps in the coverage. Airports are listed once only each month and in chronological order. Some of the airports listed may have been fuel stops only and some may have been visited more than once during the month. It was not unusual for the aircraft to return to its Brisbane base on several occasions each month and, of course, Brisbane Airport itself was also checked periodically. Robert Maddern and his log book. South Australian Air Journal various issues. Added an image of the Flight Survey Console on display at the Airways Museum. Thanks to Phil Vabre. Added entries at 23JAN83, 23JUN83, 31AUG85. Added further details of an OK-Tedi contract. Thanks to Robert Maddern. Added details of an OK-Tedi contract operated from March 1986. Added an image of the aircraft with props and exhausts. Added an image of the aircraft fitted with props and spinners. Thanks to Pearl Aviation for the props and Colin Campbell for the image. Added several images thanks to Phil Vabre. Complete update after access to log books. Added an image of the aircraft with paint stripped. Added an image of the aircraft with wings fitted. Added an image of the aircraft at Caloundra. Added an image of the recovery crew. Added details of delivery to QAM.